Pretty. Feminine. Beautiful and Versatile. What could be a better fit for your everyday style. If you're one to look for exquisite beauty in your jewelry, this aquamarine and silver layered necklace set is perfect for you. You don't always need a statement piece of jewelry to make a statement. 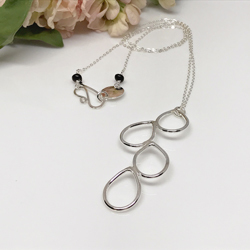 You'll find less is sometimes more with this lovely layered necklace. Double layered aquamarine necklace set. Layering or stacking pieces of jewelry seems to be the trend. 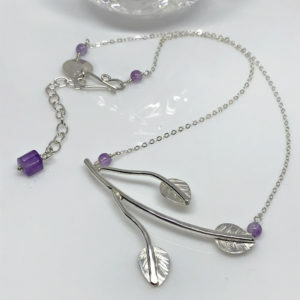 You can take the guess work our of which pieces when you wear this necklace. It’s two necklaces in one. Strung between two delicate strands of Argentium silver are three exquisite aquamarine gemstones. Not to mention two round citrine accent stones. While the aquamarine stones are more opaque in their appearance, the citrine stones are beautifully transparent. Additionally, both types are softly hued and quite pretty. 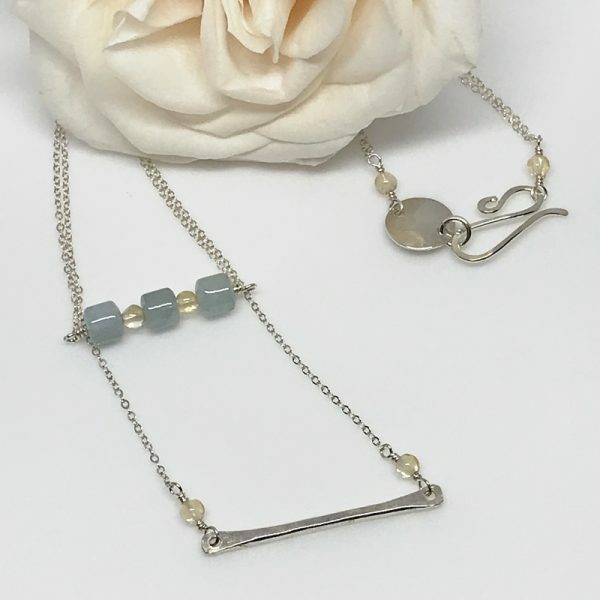 The longer necklace is a simple silver, vertical bar which lays horizontally and is hammered to give texture and dimension. Equally important is the clasp which is also Argentium silver. Both the clasp and bar have been polished to a very high sheen. 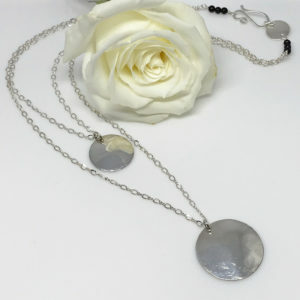 If you prefer, this layered necklace is also available with softly hued rose quartz and citrine gemstones or gorgeous labradorite and amethyst stones. The overall length is 20 inches.